After 20 years of career has obtained practically all the prizes an artist could aspire: seven Grammys, a star in the Hollywood Walk of Fame, the honor to sing and record a duet with Frank Sinatra and over 50 million records sold world wide. The success of this young artist of 32 years of age, who was born in Puerto Rico and raised in Mexico, has a simple explanation: quality and perseverance. From 1982 – 1984, recorded a total of four albums: 1+1=2 Enamorados, Directo al Corazón, Decídete, and Palabra de Honor.He realized his first ever international tour and debuted on the big screen as an actor in the movie “Ya Nunca Mas”. This was the start of an exceptional artistic career. 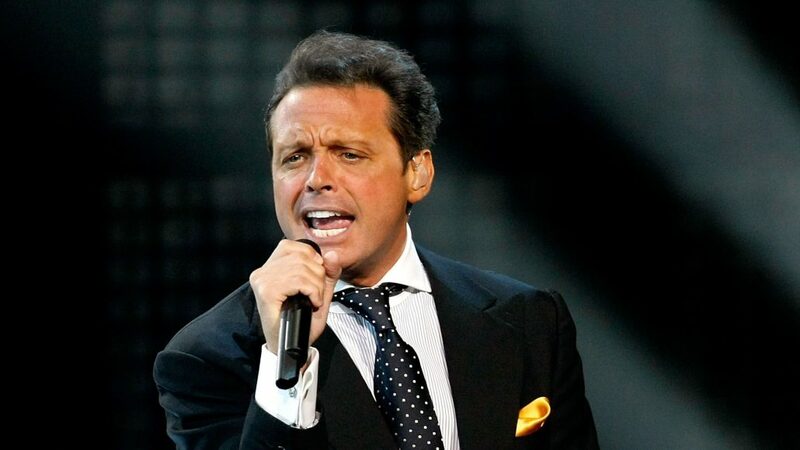 In 1985, at the age of fifteen, won his first Grammy Award for his duet with Sheena Easton, Me Gustas Tal Como Eres. That same year he also went on to win the “Antorcha de Plata” at the Viña del Mar Festival in Chile and second prize at the San Remo Song Festival in Italy with the single Noi Ragazzi Di Oggi. In 1986 released his fifth album Soy Como Quiero Ser and began his collaboration with the producer and composer Juan Carlos Calderon. For the sales of this album he received 5 platinum, and 8 gold records. In 1988 he recorded his sixth album, Un Hombre Busca Una Mujer. Its first single, La Incondicional , broke records by staying at the top of Latin radio charts for over seven months. 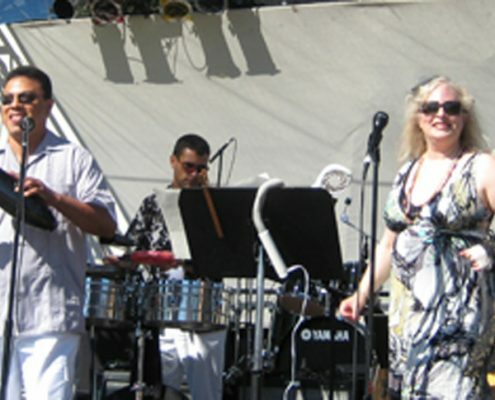 Seven singles were released from this album occupying number #1 spot on Billboard’s “Hot Latin Tracks” chart for more than a year. In 1990 the album 20 Años sold more than 600,000 copies in the first week of release. Six singles from the album entered the Mexican TOP 100 simultaneously, and toured Latin America and the United States with unparalleled success. The same year he received the “European Excellence” Award from Spain, and became the first Latin Artist to win the “Best-Selling Artist” category at the World Music Awards in Monaco. He also won two “Antorcha de Plata” awards at the Viña del Mar Festival and subsequently solidified his reputation as the greatest Latin American artist of his generation. In 1991 he co-produced his eighth album titled Romance (the first in a trilogy of Bolero albums) which attained sales of 7 million internationally and garnered more than 70 platinum awards. He was the first Spanish-speaking artist to receive gold records in the US, Brazil and Taiwan for an album in Spanish. Romance also won “Best International Album” and “Best International Artist of the Year” at the Ronda awards in Venezuela and “Best Artist from a Non-English Speaking Country” at the Korean International Music Awards, as well as the “Trofeo Ace” in Argentina. 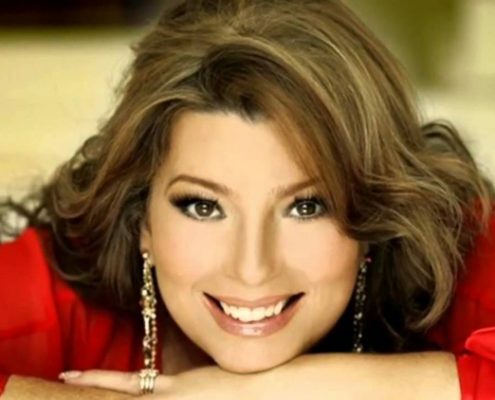 In 1992 won many awards for Romance including Billboard’s “Best Latin Artist” “Best Album” and “Best Spanish-Singing Artist” Awards, as well as the “Laurel de Oro” Award in Chile for “Best Album of the Year”. He was the only Latin Artist invited to participate in the Seville Expo ‘92 closing ceremony. He gave a concert to raise funds for the Children’s Museum in Mexico, and his Latin American tour was a phenomenal success. In 1993 he produced his ninth album, Aries for which he was awarded his second Grammy Award for “Best Latin Pop Album”. He won two “Lo Nuestro” awards for “Pop Artist of the Year”, and “Best Pop Album”, “Billboard” awards for “Best Male Artist of the Year” and “Best Album of the Year”, and subsequently received 40 platinum and 6 gold records worldwide. That same year he embarked on an even more extensive tour of Central and South America and the US, once again breaking all box-office records. He was the first Latin Singer to completely sell-out New York’s Madison Square Garden and the first Latin artist to achieve four sell-out in a row at the Universal Amphitheater in Los Angeles. He also performed 3 consecutive sold out dates at Miami’s James L. Knight Center. in 1994 Segundo Romance was released and entered the “Billboard top 200″ at number #29. The album received 3 Billboard Awards for “Best Album”, “Best Male Artist” and “Best Video” for the single La Media Vuelta, and 50 platinum records. He was recognized by the RIAA( Recording Industry Artists of America ) after selling 2 million copies of ROMANCE and SEGUNDO ROMANCE in the US. Again, he made history by being the first foreign artist recording in his own language, to receive this feat. He also broke his own record that year by playing 16 consecutive concerts at the National Auditorium in Mexico City. According to PERFORMANCE and AMUSEMENT BUSINESS magazines, was ranked third in the world for having sold the most tickets for consecutive dates at one venue. That same year recorded with Frank Sinatra the duet Come Fly With Me for the album SINATRA DUETS II. He was one of the highlighted performers chosen to do a “behind the scenes” video about the taping of the duet for a one- hour television special called SINATRA: DUETS. He was later invited to perform at the televised celebration of FRANK SINATRA’S 80th BIRTHDAY alongside artists like Ray Charles, Bruce Springsteen, Natalie Cole and Bob Dylan among others. In 1995 he won his third Grammy Award in the “Best Latin Pop Performance” category for his album SEGUNDO ROMANCE and once again the World Music Award for “Best-Selling Latin Artist of the Year” in Monaco. In the same year he played to more than 500,000 fans during his tour of over 100 sold-out US and South American tour dates. He released his new album, El Concierto, which was recorded during a record-breaking tour of 16 consecutive nights at the National Auditorium in Mexico City in August 1994. Released on double compact disc, cassette, laser disc and home video it broke all sales records. Later in the year the two hour TV special was simulcast in the US, Puerto Rico and across Latin America in a Pay-Per-View event. 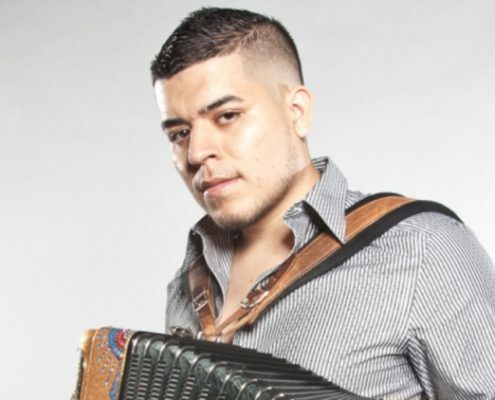 El Concierto was a departure from his previous albums in that it included all his greatest hits and incorporated his own new interpretations of Mariachi classics such as Si Nos Dejan and Amaneci Entre Tus Brazos. With international sales of 2 million, was once more awarded the Latin Music “Lo Nuestro” Award for “Best Male Artis of the Year”. in 1996 was asked to record Sueña for Disney’s “Hunchback of Notrdame” soundtrack, which was included on his new album Nada Es Igual. He had also previously recorded the hit, No se Tú, as the theme for the film Speechless. This same year Nada Es Igual was released and sold 1.3 million in a record amount of time, going platinum 30 times. Dame, the first single from the album, went to Number #1 within a week on all Spanish-language US radio stations and all radio playlists in Mexico, Central and South America, and Spain. In September, the organizing committee of the Hollywood Walk of Fame honored with a star on the famous Hollywood Boulevard. Once again he broke records for fan attendance. In October, he undertook his “Tour America 96” through South America playing Chile, Argentina, Uruguay, Paraguay, Peru, Ecuador and adding for the first time Brazil, where his concerts were highly successful. That year, became the highest paid Latin artist ever to perform in Las Vegas and he was invited to sing at Caesars Palace televised thirteen anniversary celebration. In 1997 released his self-produced album Romances, the third installment in his series of boleros, on which he collaborated with the Maestro Armando Manzanero and Bebu Silvetti. Romances broke all records by being the first Spanish-language album to debut at Number#14 on the BILLBOARD TOP 200. Por Debajo de la Mesa and the follow up-singles: El Reloj, Contigo, Besame Mucho and De Quererte Asi went to Number #1 on radio playlists across Latin America. He was honored at the “Premio Amigo” and “Premio Ondas” Awards in Spain for “Best Latin Artist of the Year” This was also the year when he embarked on the most extensive tour of his career, the Romances tour. Once again, he broke his record by playing more than 17 consecutive dates at the National Auditorium in Mexico City and 5 sell-out dates at Radio City Music Hall in New York City. Pollstar magazine recognized him as the first Latin artist ever to be included in their “Top 20 All-time Grossing” list (the 20 artists who in the history of music have sold the most tickets at one venue). In 1998 was presented with his fourth Grammy Award for “Best Latin Pop Performance”. He also received Billboard’s “ Latin 50 Artist of the Year” and “Best Male Artist Pop Album of the Year”. He was honored once again with a World Music Award for “Best Selling Latin Artist”. 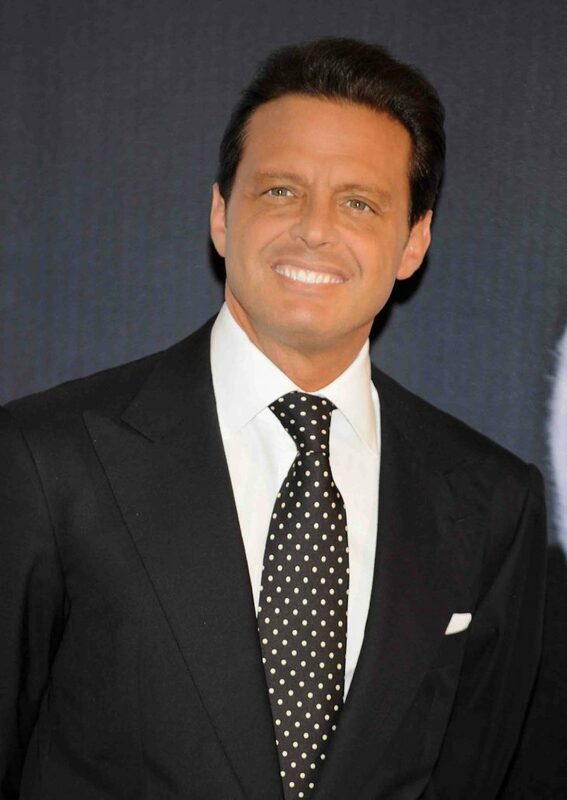 Romances has sold in excess of four and a half million copies to date, (becoming the fastest selling Luis Miguel album ). It has also garnered over 50 Platinum records: 11 in Argentina, 9 in the US and Puerto Rico, 8 in Chile, 6 in Venezuela, 5 in Spain 4 in Mexico and Central America, 2 in Colombia, Bolivia and Paraguay,1 in Peru and Ecuador, and Gold in Brazil. 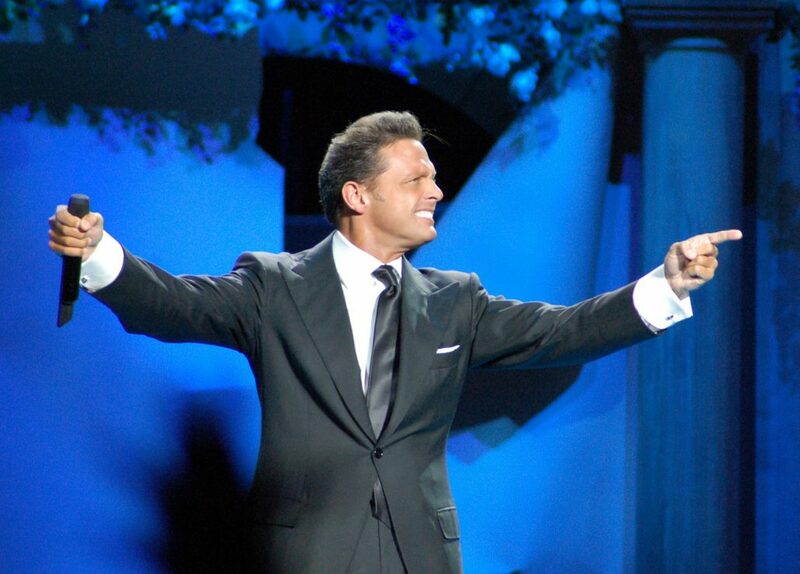 In 1999, recorded a new album called Amarte Es Un Placer which means LOVING YOU IS A PLEASURE. 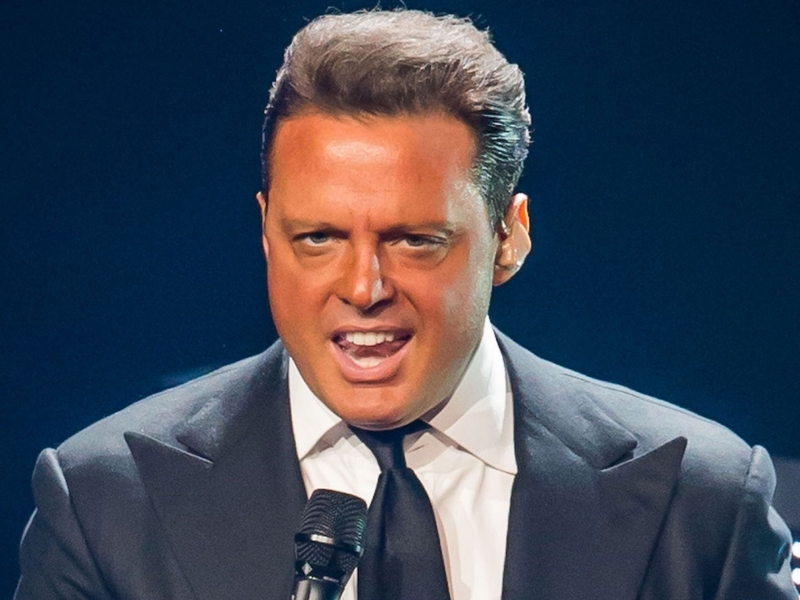 Once again Luis Miguel is responsible for its production. 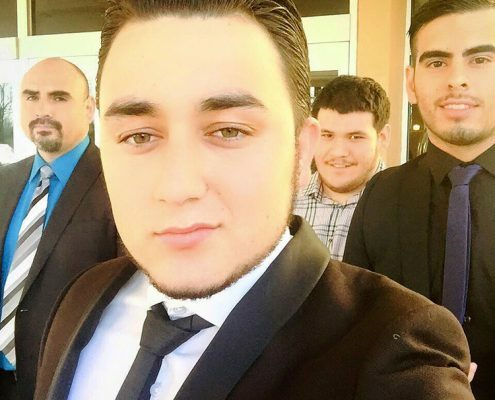 He reunites with renowned composers Armando Manzanero and Juan Carlos Calderon, and assumes responsibility for writing and arranging many of the songs. In July, the album’s first single Sol Arena y Mar was released to rave reviews at radio, topping the charts in Argentina, Chile and Mexico its first week. The first week of August a maxi-single including four versions of this single went on sale throughout Latin America and the United States. At the end of August 1999 a video clip for O Tu o Ninguna was shot on location in San Francisco over a three day period under the direction of Rebeca Blake and it included the participation of over a 100 extras. The single O Tu o Ninguna debuted at radio stations around the world on September 6th. On September 13, 1999, oficially releases Amarte Es Un Placer and the video for O Tu o Ninguna is premiered worldwide during an International Press conference held at the historic Casino de Madrid in Spain. Media from the United States, Europe, Asia and Latin America were in attendance. He embarked his 1999-2000 world tour in Spain completing over twenty performances on the Iberian Peninsula and sold out concerts in countries like Brazil, Argentina, Chile, and Venezuela. In the year 2000 continued his Amarte es un Placer tour which included 21 shows in Mexico’s famed “Auditorio Nacional”, setting the record for the artist with the most consecutive shows at this venue. More than 225,000 fans enjoyed the magic and splendor of his live concerts in Mexico and Monterrey. The second leg of this tour also included 5 shows at the “Universal Amphitheater” in Los Angeles and 4 at the “Radio City Music Hall” in New York. This year he received 4 platinum records and 4 gold records for the sales of the Amarte Es Un Placer album. In May, he wins the Billboard “Best Male Artist Pop Album of the Year” award and finalized his 1999-2000 Tour. This tour was recognized as the highest grossing concert tour by any spanish-speaking artist, according to the William Morris Agency. In September wins three Latin Grammys at the first ever “Latin Grammy Awards” ceremony for: “Album of the Year”, “Best Pop Album”, and “Best Male Pop Vocal Album” for the song “Tu Mirada”. In October Vivo was released, which was recorded live in concert in Monterrey, Mexico. This album includes some of the greatest hits of his career as well as two Mariachi songs that were never recorded before: “Y” and “La Bikina”. Later the same month, the Vivo DVD and VHS is released, making history for the first spanish concert video released in PAL, NTSC and DVD in Europe, South America and the United States. In 2001 again wins the Billboard “Best Male Artist Pop Album of the Year” award for Vivo. In July, this album is nominated for “Best Male Pop Vocal Album” at the second annual “Latin Grammy Awards” ceremony. Throughout the Summer, he records and produces his new “Boleros” album titled Mis Romances. The album was officially released on November 13th. 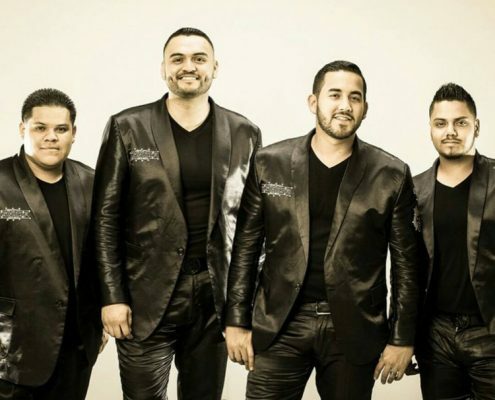 The first single of the new album, titled “Amor amor, amor” was selected as the main theme song for the Mexican soap opera titled “El manantial”. 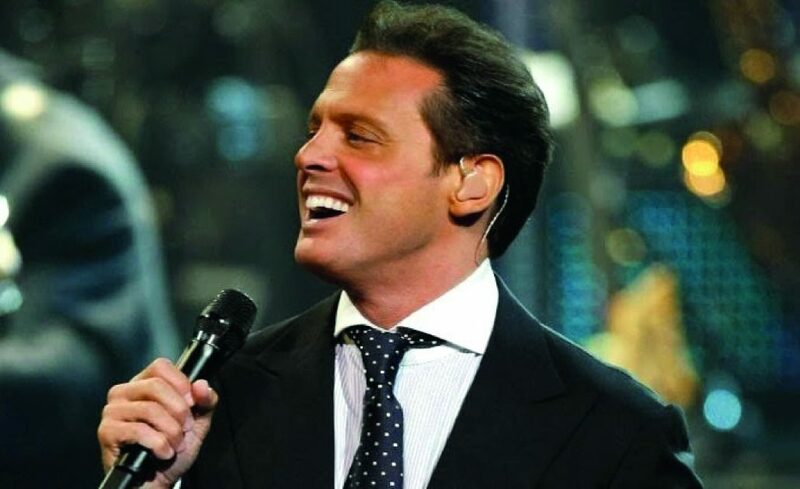 On the 29th of November, Luis Miguel hosted the official release of his new album in a press conference held in the United States. The event took place in the mansion of the passed away Italian designer Gianni Versace in Miami, F.L. with members of the press from all around the world. By the end of the year, Mis Romances obtained the Recording Industry Association of America (RIAA) certification for sales of over 400,000 album units in the United States alone and sold more than 2 million worldwide in less than two months. 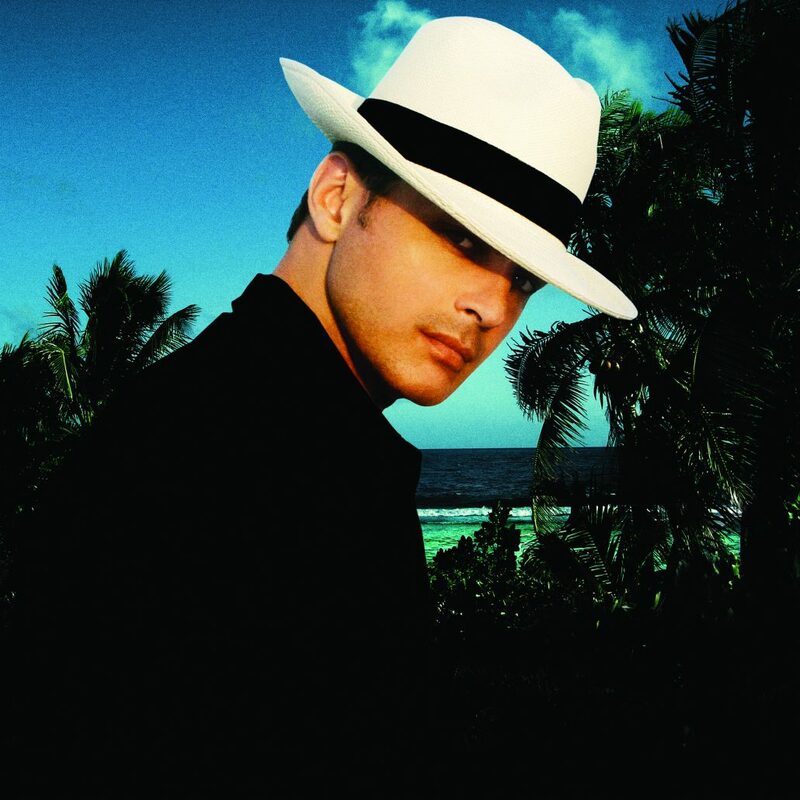 In January, 2002 the second single of Mis Romances, titled “Como Duele” reached the top of the Billboard “Hot Latin Tracks”, the chart of most requested Latin songs in the United States. In May, wins the Billboard “Best Male Artist Pop Album of the Year” award for Mis Romances. He is now embarked on his “Mis Romances 2002″ world tour. The tour began in the United States, where he broke his own record for number of sold out concerts at the “Universal Amphitheater” in Los Angeles, California with six consecutive sold out shows. This year he is expanding his concert to cities that he has never visited before like Santo Domingo, Dominican Republic, where more than 45,000 fans gathered to experience his live show. Before the end of the year 2002 plans to visit Spain, Argentina, Chile and other South American countries!